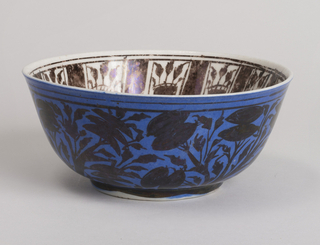 This exhibition started on July 28, 2018 and is on display until October 27, 2019. 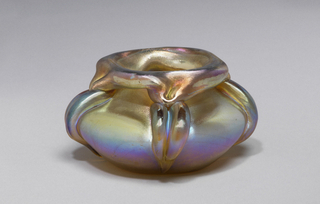 The term iridescence derives from Iris, the Greek goddess of the rainbow, and refers to a vibrant optical effect of rainbow-like colors that change in the light. 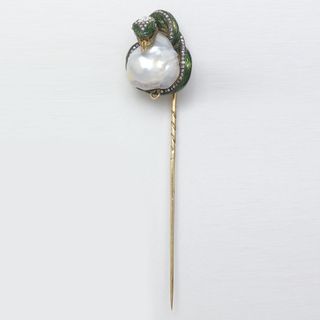 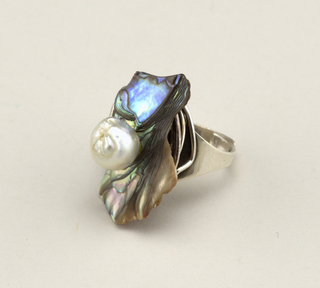 Found on pearls, bird feathers, and insect wings, iridescence draws from and celebrates the natural world’s multidimensional colors and organic forms. 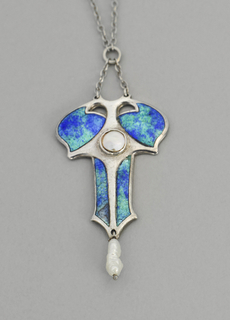 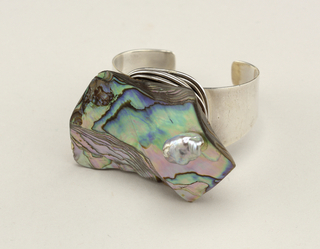 Since the Middle Ages, designers have experimented with ways to achieve an iridescent effect on the surface of glass and ceramics and incorporate naturally iridescent materials such as mother of pearl into their jewelry and metalwork. 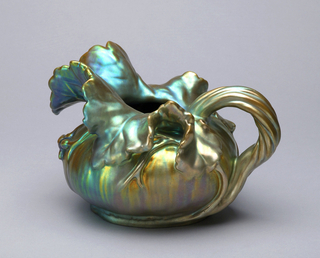 Featuring objects from the museum’s collection, this exhibition demonstrates how iridescence has maintained a lasting impact on design. 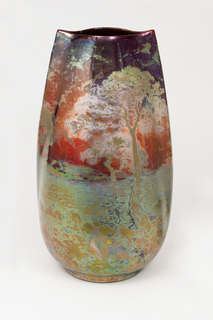 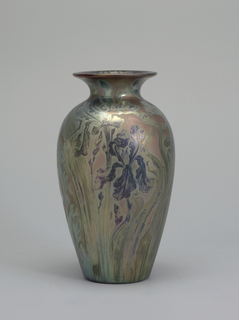 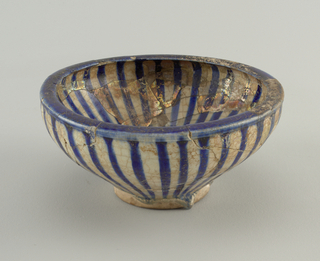 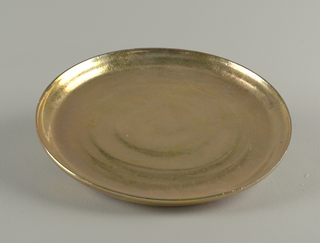 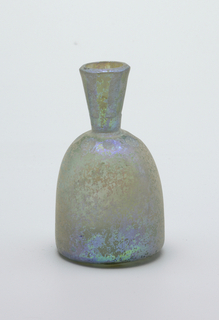 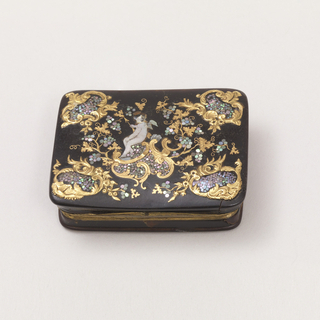 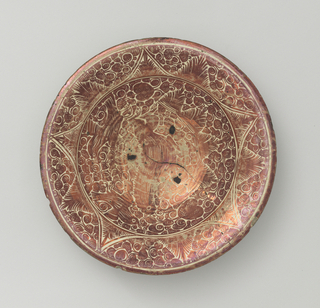 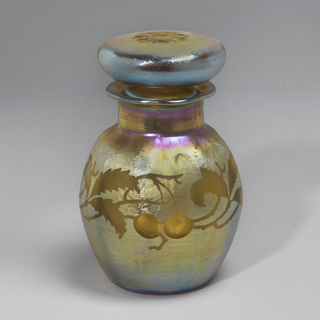 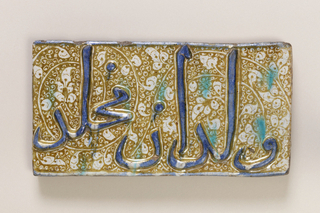 Requiring the color sense of an artist and the technical skills of a chemist to execute, the technique of iridescence connects objects across time periods and geographies. 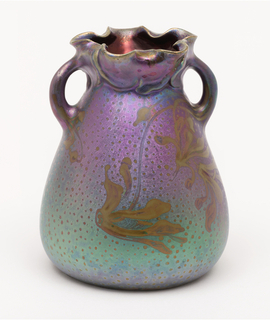 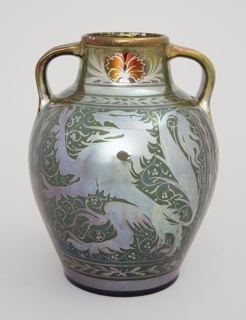 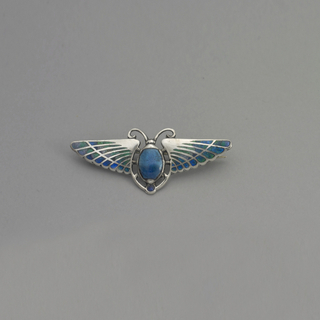 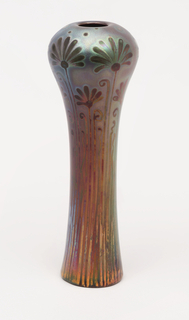 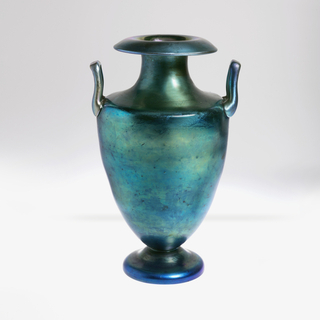 Ancient glass appears iridescent as a result of chemical decomposition from years buried underground, an effect admired and imitated by Louis Comfort Tiffany and others working in the art nouveau and arts and crafts styles at the turn of the 20th century. 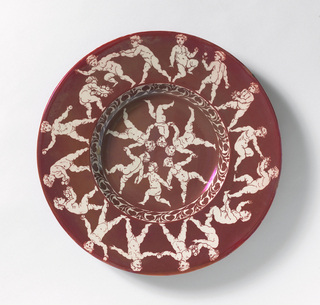 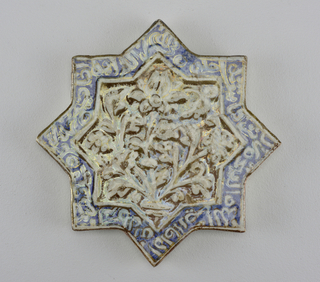 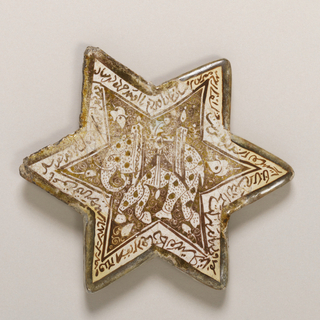 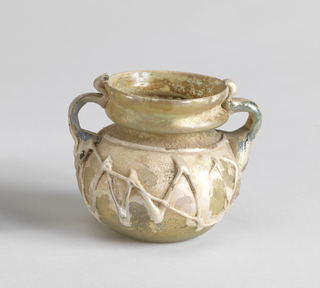 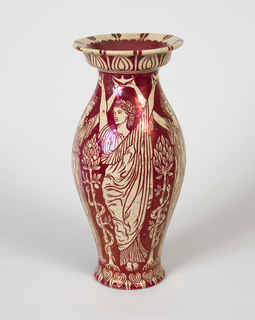 At the same time, the ceramicists Clément Massier in France and William de Morgan in Britain both looked to medieval Spanish ceramics glazed with metallic oxides for inspiration in their own work. 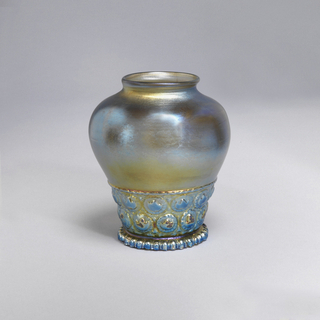 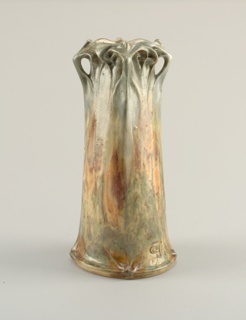 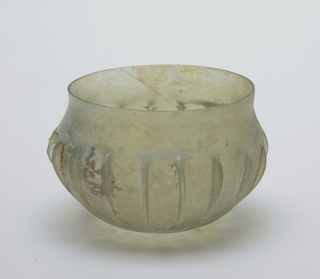 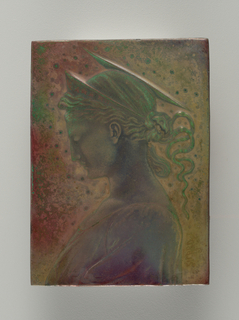 Efforts to produce radiant light effects in glass and ceramics continue up to the present. 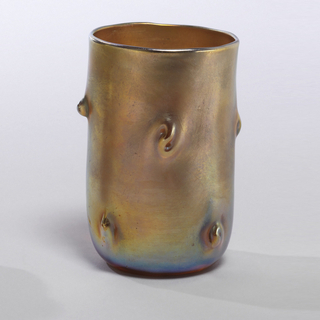 Designers experiment with adding unexpected materials to formulate metallic glazes and bright surface treatments to catch the eye.